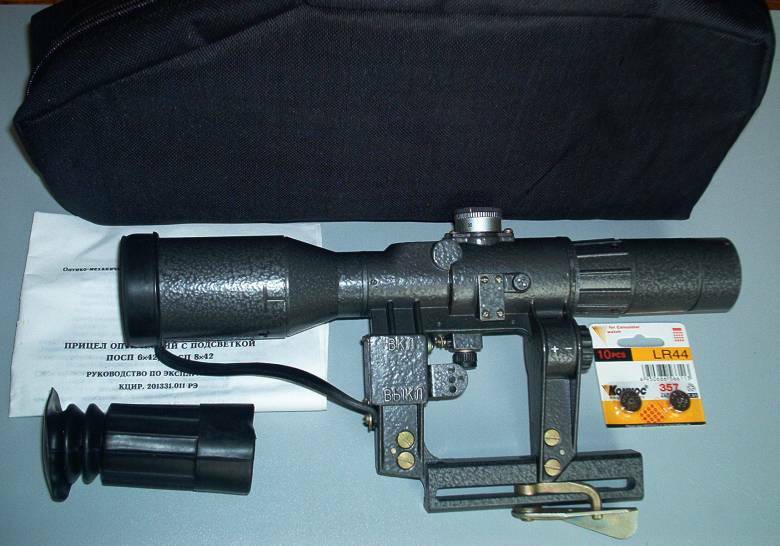 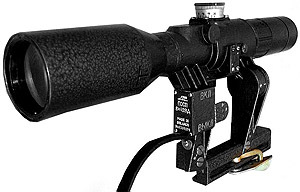 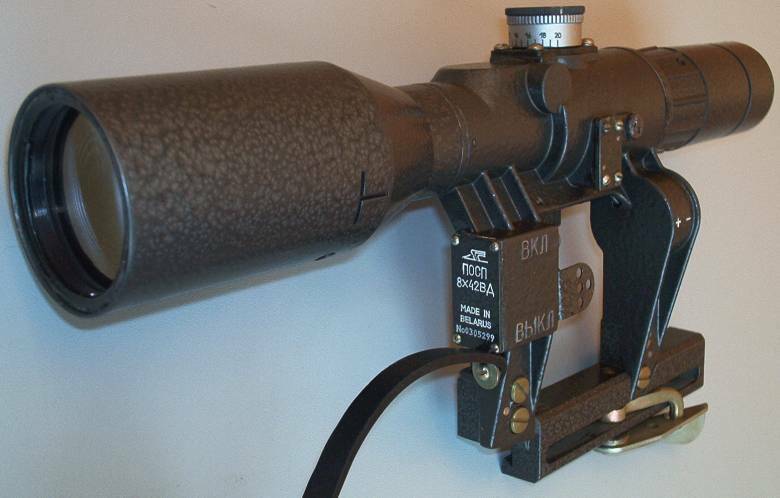 The sniper Rifle Scope POSP 8x42VD has a built-in 1,000 m dual rangefinder for the target 1.5 m (5') and 0.5 m (1'8"). 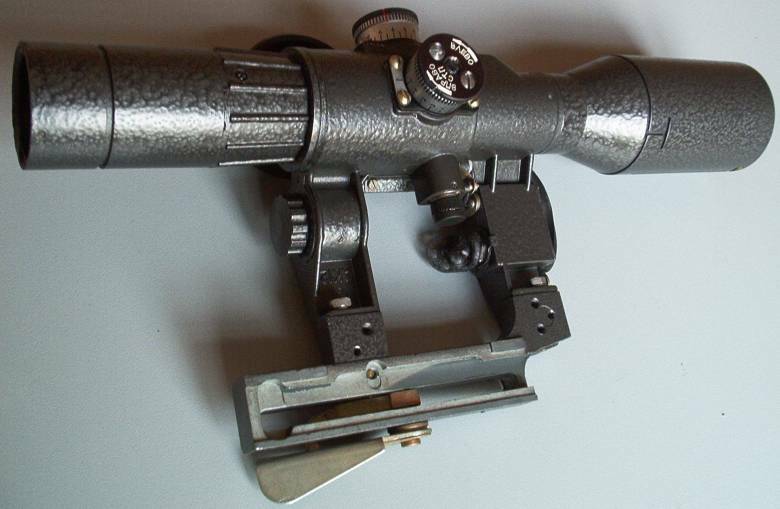 The diopiter adjustment function helps to compensate some vision inaccuracy. 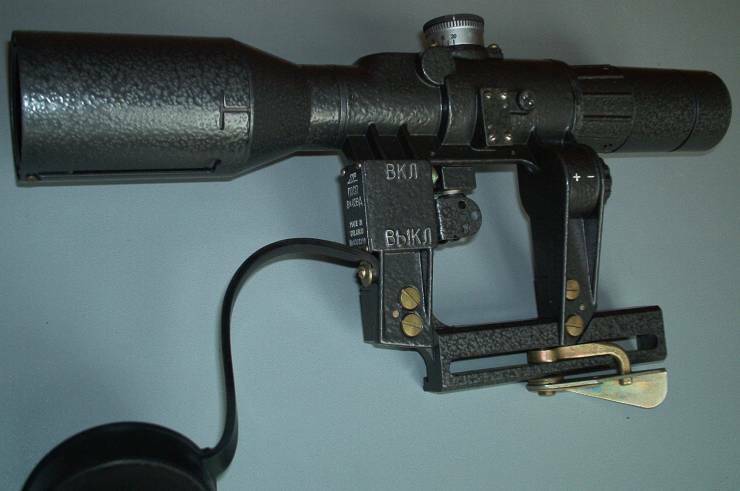 The POSP 8x42 VD used for AK-47, AK-74, Vepr, Saiga, K-var, KBI, Hesse, Century, Arsenal USA copies, Romak1/2, SLR-93, SLR-95, SLR-101, MK-11, SAR, WUM, SA85M, WASR, Maddi, Norinco and Poly-Tech .